Happy Monday everyone... It's time for the New Release at Newton's Nook Designs. Join us all week as the Design Team share a peek at a new Stamp set each day and on Friday the entire release will be available in the store. My card today shares the new set Terrific Terriers. I went with a CAS card for this one. 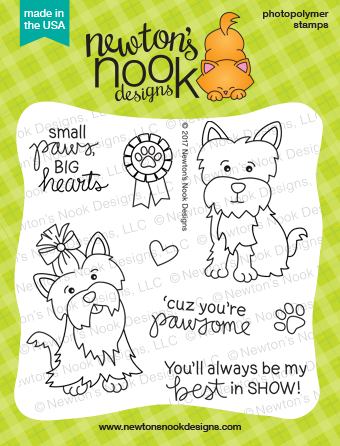 This set has two adorable little pups for coloring and some fun sentiments. I stamped the image on a Piece of Neenah Solar White cardstock using some Memento Black ink. Then I colored the image in with Copics. I used a Large Rectangle die to cut the panel out and then I stamped the sentiment in the lower corner. I added some Fun Foam to the back of the panel and then added it to a Standard A2 size card base. I really like the way the White on White looks. Labels: June Release, Newton's Nook, NND, Terrific Terriers. 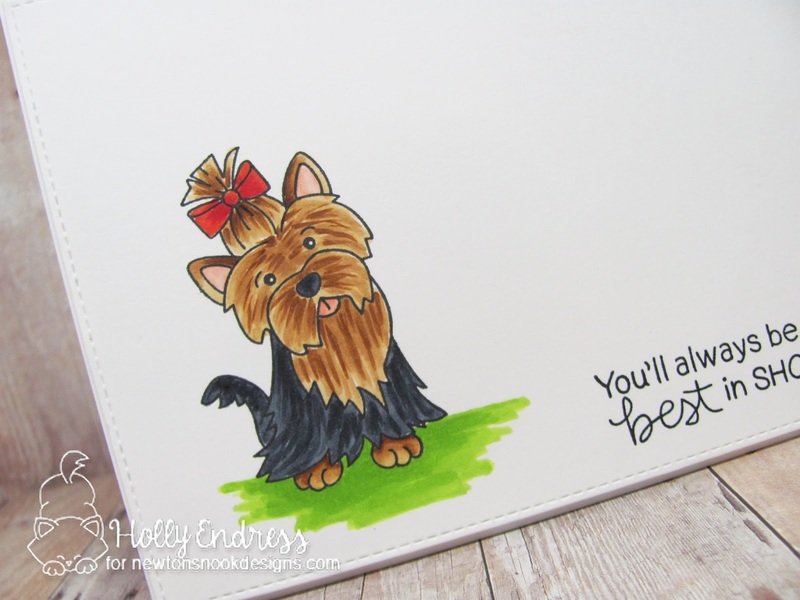 Such cute coloring, looks like a Yorkie:) fun to see all the different ways to color the terriers! Your pups are colored so beautifully. Love the new stamp! I love how your puppy takes front and center with your gorgeous coloring and white background! You make the terrier look even cuter! Cute card and cute designed set to work with. Would love to win it! What a great coloring!!! The fur texture looks amazing! Love the clean and simple design too!!! I love this card. I like how the single terrier takes center stage. that is the cutest card! 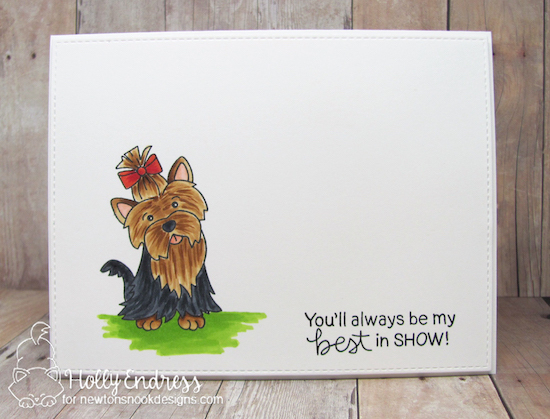 Great Yorkie card! I love this stamp set! Amazing colouring of this cutie! I've recently decided I want a terrier – fallen in love with a friend’s yorkies. We need this stamp set! So cute. I like your coloring and this sentiment. I love this! Your pup looks like my childhood pup 'Biscuit' BEAUTIFUL coloring! Those terriers are so cute. Fabulous coloring! Your pup looks just like a Yorkie! This is so cute! Sweet and simple to showcase that sweet puppy! Your coloring on that little Yorkie is just outstanding!! !